I don’t know about everyone else, but our schedules have been so busy that quick meals are a must lately. 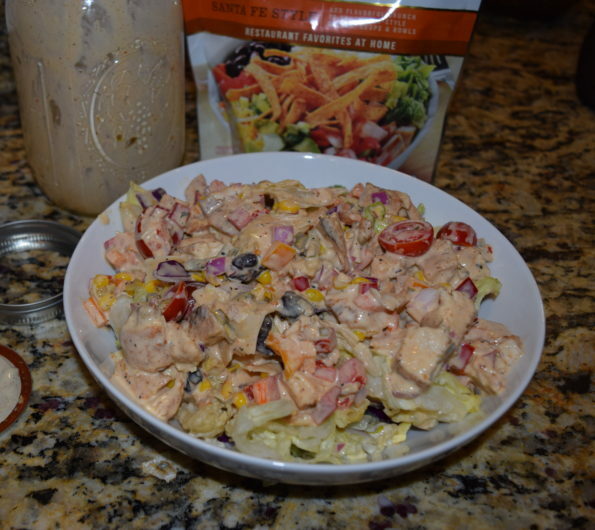 Quick meals that are healthy and can be prepared ahead have been a lifesaver. 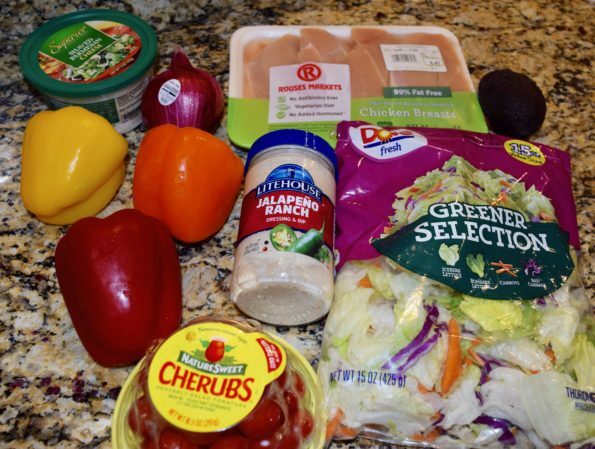 Healthy meals without compromising flavor is a plus for us. 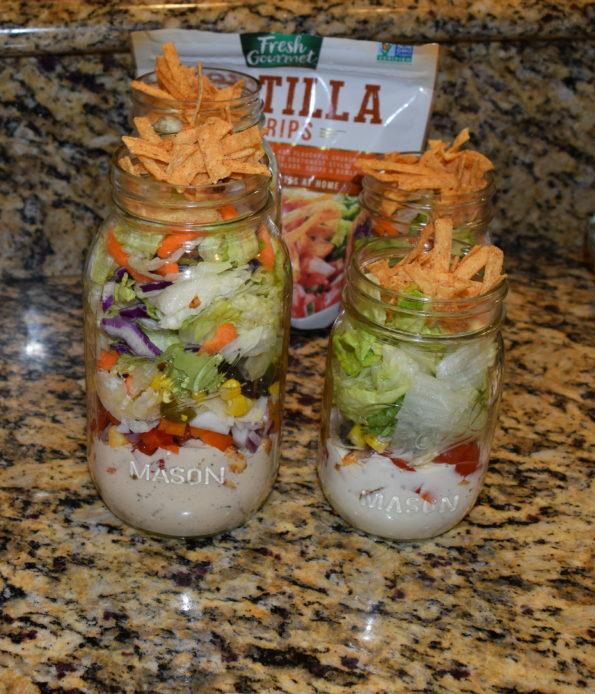 Last week I decided to create a Southwest Salad in a Jar. Each with ingredients that my kids will eat. 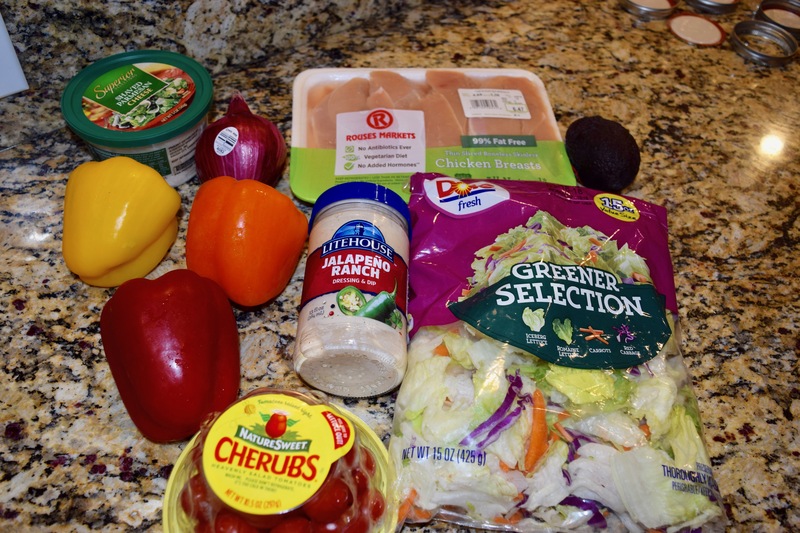 The simplest ingredients can turn into the yummiest dishes. I started with the chicken. A basic spice blend that I use often. Unfortunately, I can't give you the recipe of my spice blend because eventually we will be coming out with our own line of spices. 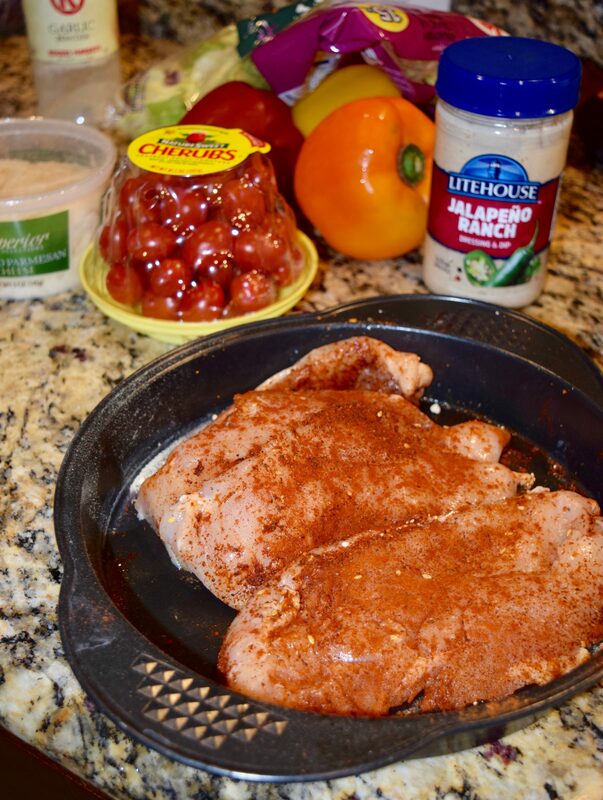 But I recommend that you season your chicken as you would normally but add a little chili powder, garlic powder and cumin. I began prepping my ingredients. The black beans, corn, tomatoes, jalapeños, lettuce, orange and red bell peppers, red onions, diced avocado, tortilla strips, shaved parmesan cheese and the salad dressing. For salad dressing, I used the Lighthouse Jalapeno Ranch. This is my favorite salad dressing. 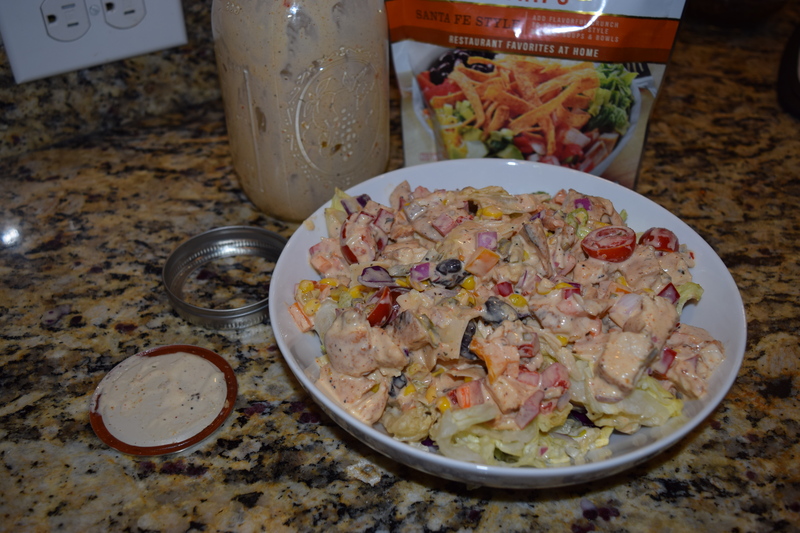 The dressing is delicious but a little on the thick side and hard to shake in the jar. I added a little more at the top before shaking the jar. For my kids I used regular buttermilk ranch. 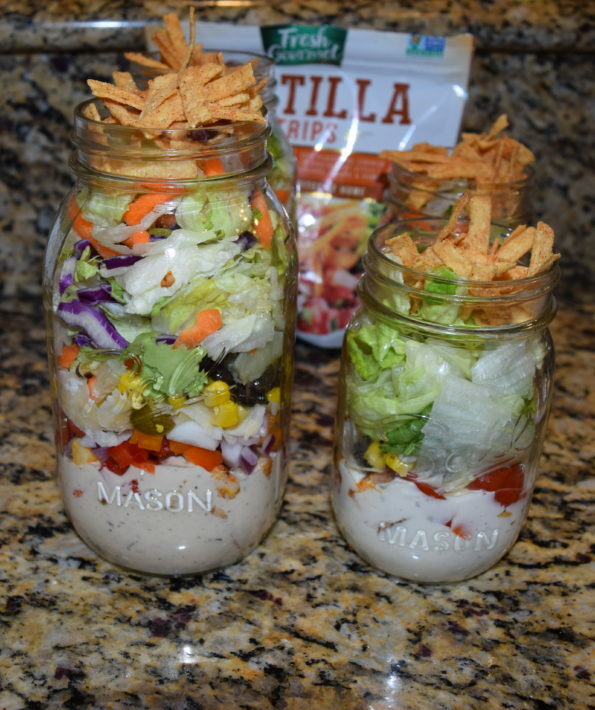 This dressing worked well in the jar. The dressing goes in first. I didn't measure my dressing, I just eye balled the level of the salad dressing. 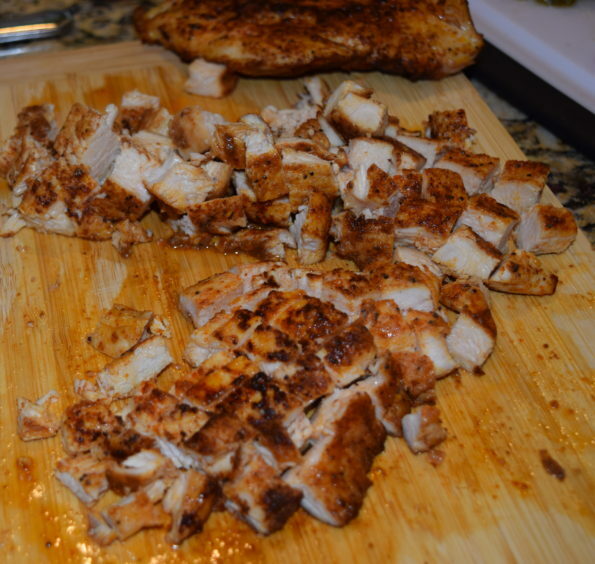 Grilled chicken goes in next. 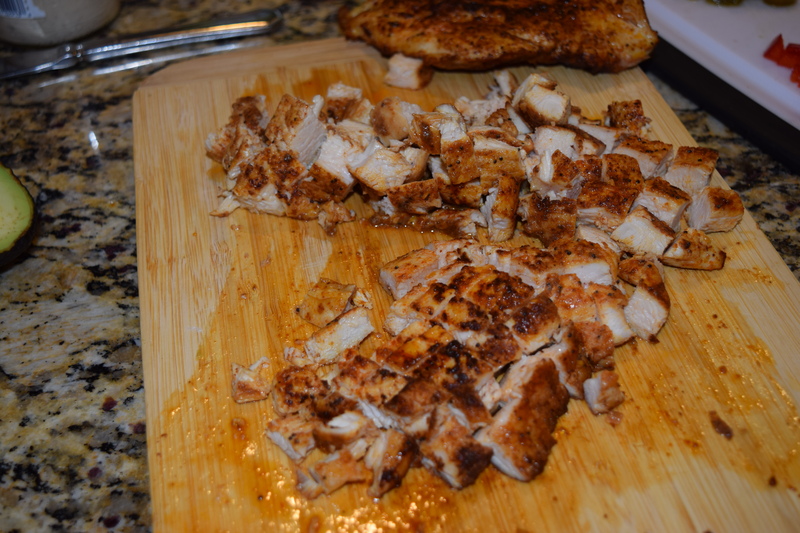 I grilled the chicken and diced into medium size pieces. Cooled and add to the jar. Red and Orange Bell Peppers go in next. Then the corn. The corn I cooked in a little butter with all-seasoning. Allow the corn to cool before adding the corn into the jar. The black beans I heated and cooked with a little salt, pepper and cumin. Allow to cool and then add to the jar. Next add the most important part the Lettuce. 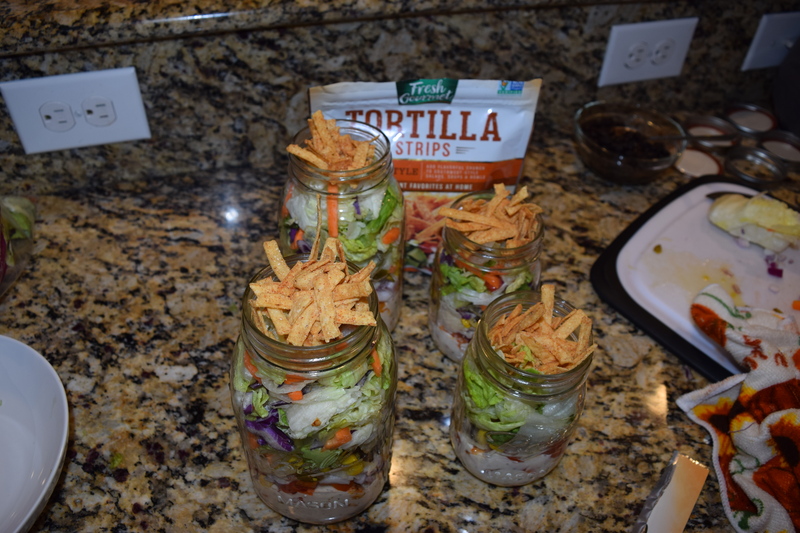 I chose the lettuce blend that included iceberg lettuce, romaine, carrots and purple cabbage. A good choice. 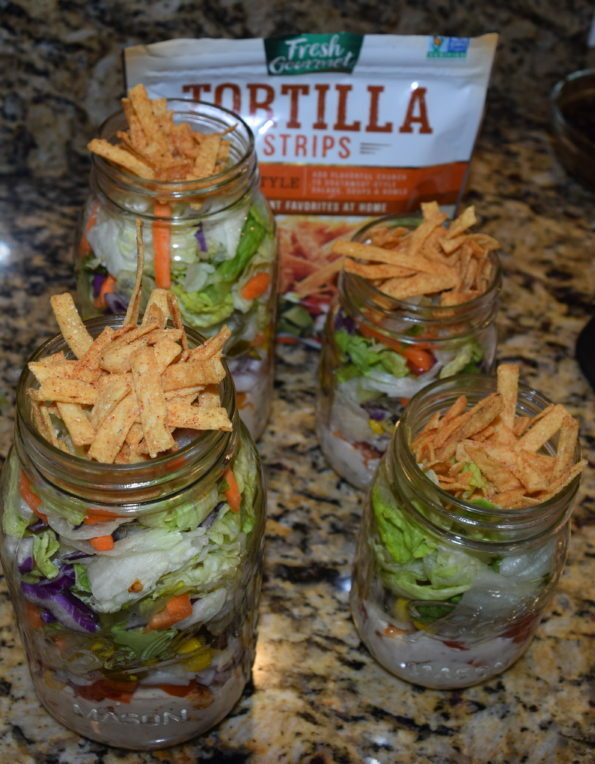 Lastly add the tortilla strips on top. I ate my salad immediately. Before shaking I added a little more dressing on top and shook away. 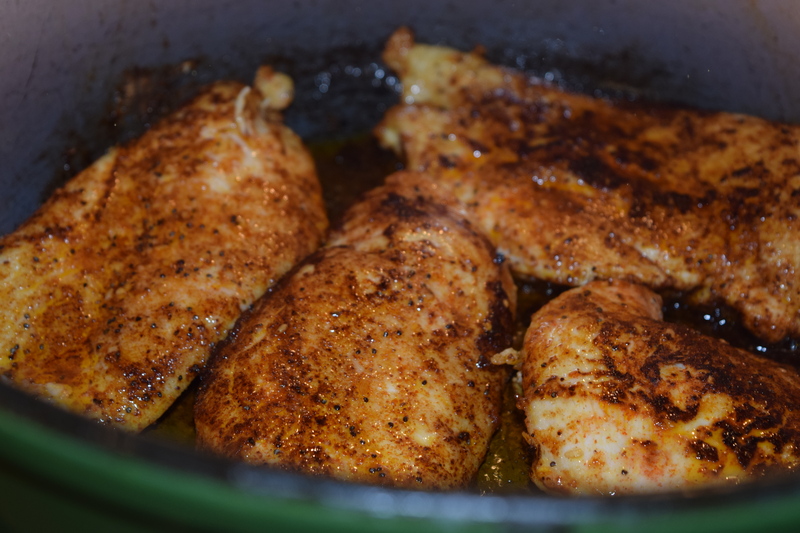 I prepared one for each of my kiddos and my husband to have for dinner that night. The salad was perfect. 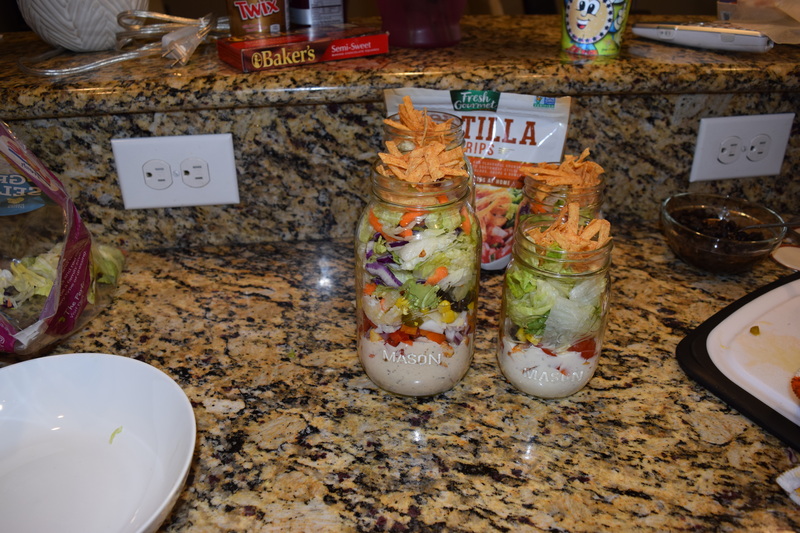 My family loved the Salads in a Jar. 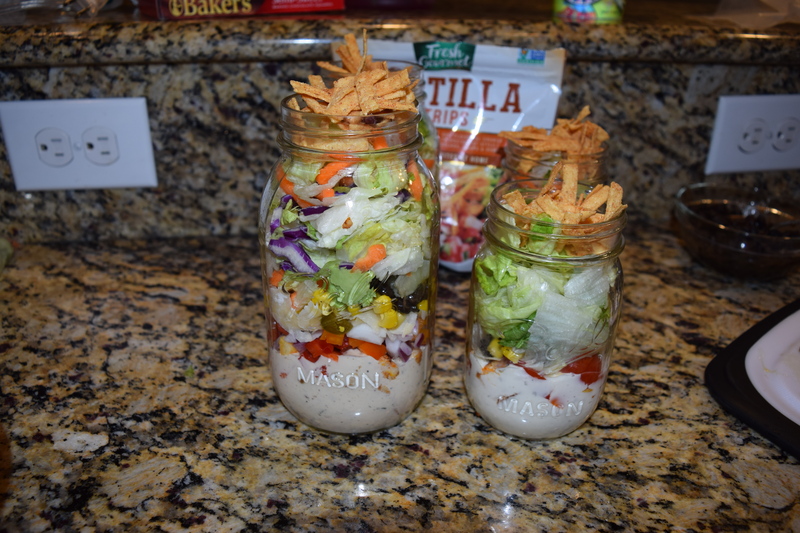 I will definitely make salads in a jar again with different variations.